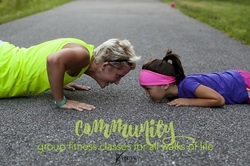 We here at VBPTW are committed to providing an exceptional fitness and wellness experience to our members of all ages in a fun, clean, and safe environment. We are dedicated to integrating multiple allied health professionals to prevent, treat, and rehabilitate lifestyle related diseases and injuries. By combining the latest evidence based research and exercise strategies, along with our state of the art equipment, VBPTW is poised to offer a superior wellness approach that can and will enhance your quality of everyday life. ​Our wellness memberships open the door to a variety of fitness and health options. You can choose to exercise independently or with a personal trainer, attend PIYO, Dance, or Zumba classes, sweat it out with High Intensity Interval Training (HIIT), relax with a personal therapeutic massage, and/or unwind in our invigorating Whole Body Cryotherapy Tank. VBPTW offers a variety of personal training concepts. With your rehabilitative needs in mind, we incorporate therapeutic exercises with more aggressive and functional workouts. From 30’ or 60’ private Sessions to small group, PIYO classes and TRX suspension classes, sport specific training, strength and conditioning, and surf conditioning, VBPTW is ready to meet your fitness needs. 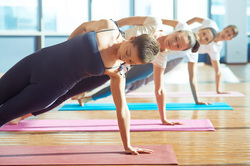 ​We offer a variety of group fitness classes including Piyo, Barre, Senior dance class ​Dance-hab, Big therapy group class for Parkinson’s, Cardio Hip Hop, and High Intensity Interval Training. Class schedules coming soon. Sore or Stiff? Come and see our massage therapist for a 60 minute or 90 minute private therapeutic massage. Call today for an appointment. Our certified massage therapist will be happy to help you. (Doctor referred exercise program) Whether you need to gain ROM for an upcoming surgery or just need to lose weight for your overall health we offer a 60 days for $60 membership. Just bring a referral from your doctor and we will get you started with an evaluation and set a program to meet your individual needs. ​Immerse yourself in the newest wave of technology that offers an invigorating experience for quicker recovery. Our Impact Whole Body Cryotherapy Unit gives competitive athletes an edge by enhancing preparation so they can train harder and maximize performance. 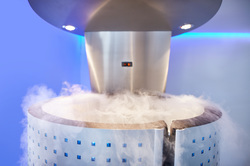 Adopted by professional athletic organizations such as NFL, NBA, MLB, MLS, NHL along with NCAA teams, Whole Body Cryotherapy has been embraced by the medical community and rehab specialist across the nation. ​VBPTW will be providing free educational seminars on a variety of topics to help improve knowledge regarding certain diagnoses, what to expect after injury, how to prevent injury, and women’s health issues. Please see Community Education for information on upcoming lectures. Athletic conditioning and physical therapy are not just for when you’re injured. Dancers need to take care of their bodies like athletes because they are athletes. This is an hour long injury-prevention workout for dancers designed by a physical therapist and dance teacher to help understand how to take care of your body in order to reach your maximum potential and help prevent possible devastating injuries. Please contact us to sign up and go to classes for class schedules, dates, and times. VBPTW is excited to collaborate with Restorative Therapy Company. 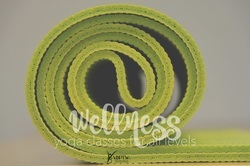 Founded and operated by Rebecca Ellis, PT, DPT, Restorative Therapy Company provides medical therapeutic yoga which integrates yoga with evidence-based movement science to establish rehab protocols and develop lifetime wellness routines.